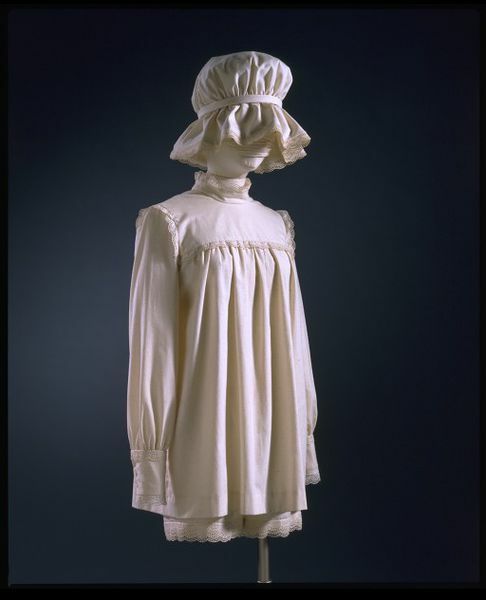 Mary Quant was a regular visitor to the V&A's Fashion Collection. She was particularly excited by children's clothes and Edwardian underwear. This calico shorts outfit, complete with mob cap, mixes nostalgia with modernity. It is an example of the brief late 1960s fashion for outfits which resembled baby clothes. This took the idea of looking young to extremes. The designer wrote 'There was a time when every girl under twenty yearned to look like an experienced, sophisticated thirty...All this is in reverse with a vengeance now. Suddenly every girl with a hope of getting away with it is aiming not only to look under voting age but under the age of consent.' Quant on Quant, 1966. 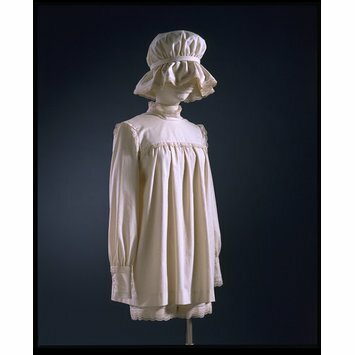 Unbleached calico ensemble trimmed with broderie anglaise. Mob-cap, micro-mini smock dress, and shorts. Ensemble. 1967. 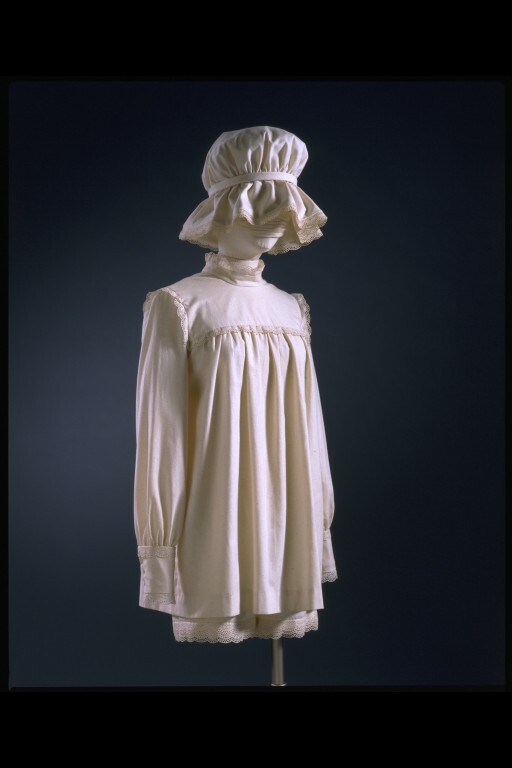 Unbleached calico smock, shorts, mob-cap and shoes by Quant, Mary. London. De la Haye, Amy (ed.). The Cutting Edge: 50 Years of British Fashion 1947- 1997. London, England: V&A Publications, 1997.